Though Herbalife Nutrition has been in existence since 1980, it is still a major player in the market. The stock increased by 68.7 percent, and that is a significant amount. The whole industry fell by just 0.1 percent. Far from slowing down, the company continues to gain new customers in its major markets, and its solid products and name recognition from all over the world are keeping it in the public’s mind. In the middle of all of this good news, there is also a little bad news. The currency is fluctuating, and it is having a negative impact on the brand, but this doesn’t mean that it cannot continue on its upward trajectory. Let’s find out. 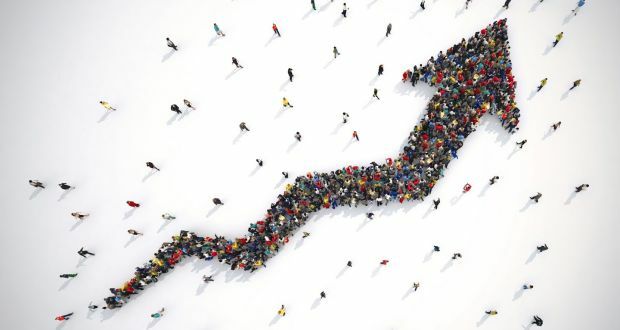 Last year, volume points increased by 15 percent and reached 1,506.9 million. This was a surprise to management because it predicted that the number would be lower. It is also the second highest volume point that this company has been able to achieve, and it is the highest year-on-year volume points increase since the year 2012. Because there was double digit growth in the markets, it appears that Herbalife Nutrition’s management has kept up with what its consumers want. It also says that the company’s direct selling strategy is working. Herbalife Nutrition’s products are pleasing customers. The products in its portfolio include targeted nutrition, sports products, energy products, fitness products and weight management. The strategy of maintaining old customers with repeat sales combined with presenting customers with newer products also helps their customer base grow. Growth in 2019 Growth can be expected to continue in 2019 for several reasons. One is Herbalife Nutrition’s brand name recognition. People have been seeing the name “Herbalife Nutrition” for almost 40 years. In addition to that, experts compile a list of the top 10 direct selling companies on the planet, and Herbalife Nutrition makes the list regularly. It is also in business in more than 90 countries. Another advantage that Herbalife enjoys is the fact that personal relationships are part of the equation. The company’s consultants or distributors maintain personal relationships with their customers on a long-term basis. These relationships ensure that customers reorder the products, and this is highly advantageous to Herbalife Nutrition because established customers don’t require as much work as trying to appeal to new customers does. In addition to everything else, Herbalife Nutriton has a “Gold Standard Guarantee.” The company has been in existence since 1980, and it is known for its customer service. Distributors can begin with the company, and they are not required to purchase a minimum amount of products. If these people do not remain in the business, they can receive a refund on their products if they were purchased one year before cancellation of the distributorship. Distributors are also not required to purchase sales tools before they can start their businesses.